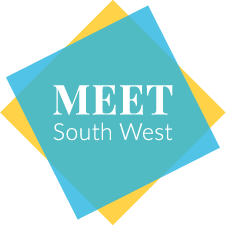 The full speaker line-up for MEET South West, the region’s first dedicated exhibition and conference showcase, has been revealed, promising insight from a diverse range of event industry figures. The event, at We The Curious in Bristol on January 30, brings together 13 speakers across three stages offering authoritative presentations from professional development to event filming, managing chaos to GDPR. The Showcase Stage will hear from David Andrews, CEO, VisitWiltshire, Kathryn Davis, head of tourism at Destination Bristol, and Neil Priscott, head of marketing at Visit Bath, who will speak on event trends and opportunities in the South West. Adam Baggs, creative director and founder of PR agency Soaring Worldwide will look at knockout marketing for events, while Adam Richards of Adam Richards Magic will demonstrate how to use magic at events. The Showcase Stage session ends with Charlotte Boaden, Nationwide Building Society’s engagement and events consultant, who will explain professional development and the value of a mentor. The final session in the Inspiration Theatre is entitled Films worth making – getting the most out of your event films and will be helmed by Richard da Costa, director of Floating Harbour Films. First up at the Knowledge Hub will be Lucy Duggan, managing director of Lightbox Leadership, who will speak on Sailing through chaos: secrets to resilient event management, followed by Rowenna Fielding’s presentation called ‘GDPR ate my hamster! – a look at the effects of upgraded data protection law on the events industry and how companies are adapting. A sustainable state of mind is the title of a talk on making events more sustainable by Sam Rowe, CEO of Ignition, to be followed by a presentation from founder and CEO of Glisser Mike Piddock on measuring event return on investment. The Knowledge Hub session wrap up with Helen Farmer, founder/director of VoiceByVolume Inclusion Support explaining how to make events more inclusive events. Among organisations endorsing the event are Bristol Airport, GWR, Bristol-based film production company Floating Harbour and Swindon Business News. As well as the industry-led workshops and presentations and a curated exhibition, MEET South West will also feature networking opportunities and a drinks reception with entertainment – making it a must-attend event for all businesses involved in the region’s MICE sector. MEET South West is being produced by a trio of local event professionals – Franco de la Croix-Vaubois, founder of the area’s Event Organisers Network (EON) and its Bath hub manager as well as being managing director of his own business Frog Events; Bristol-based Focal Point Event Management managing director Thomas Heiser; and Paola Davis, specialist corporate event manager and the EON-Bristol hub manager. Registration is from 9am with the event running from 10am to 4pm, followed by networking drinks until 6pm.